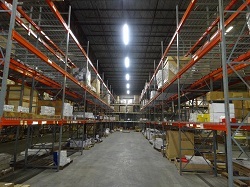 Wow…So Many Choices For High Bay Lighting. Which One Should I Choose? In the past the only thing available were T12 fluorescent tubes or metal halide lamps or high pressure sodium orange light lamps. Great choices….not really I have been going into plants all over the country for over 30 years and most of them were dark and dingy. No one seemed to care because this is just the way it was and nothing else was available. With the advent of LED lighting we now have several colors available 2800K, 4000K or 5000K and even 5700K. We also have optics available 120 degrees, 80 degrees and 50 degrees. One of our Electric contractors called us in to help with a dark and dingy antenna distribution warehouse. This customer had existing T12 Fluorescent tubes inside. 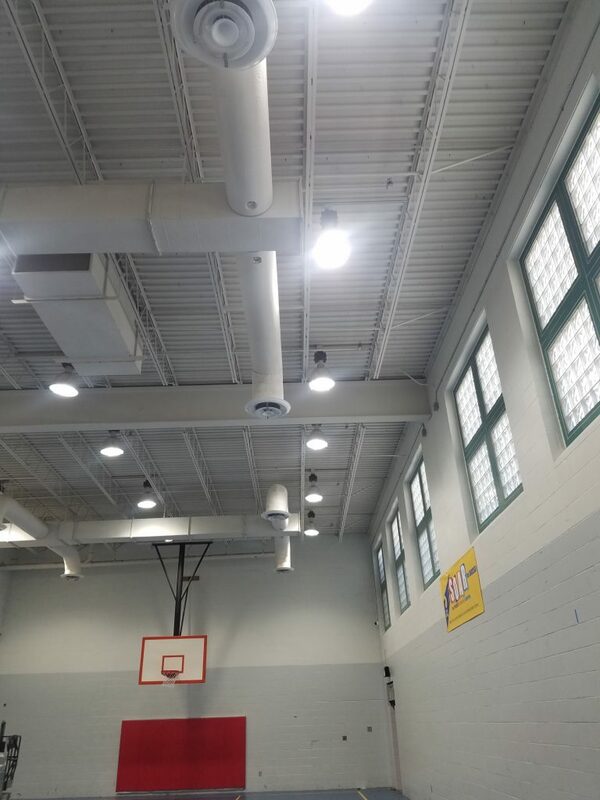 When they were first installed they might have been OK but now there were terrible but it’s what they had and were use to. They wanted to get as much lumen content as possible with the lowest wattage. We suggested our LED Strip light that were putting out over 150 lumen per watt at the time. The change was incredible. Now the employees could actually see the writing on the side of the boxes and pull them faster. At the end of the day the employees did not have headaches from straining to read all day long. The list goes on regarding all the advantages about using brighter lighting. Not only that they save close to 60% in energy every month. We have about 12 of them described here that may work for your application. 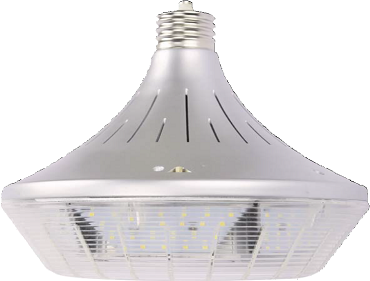 When choosing a LED High Bay light there are many things you need to keep in mind. Height of ceiling, type of light needed, area that needs the light etc. 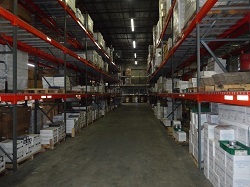 In a warehouse we need to know how your shelving is set up. What is the distance between rows? Are you storing product on the top shelf? 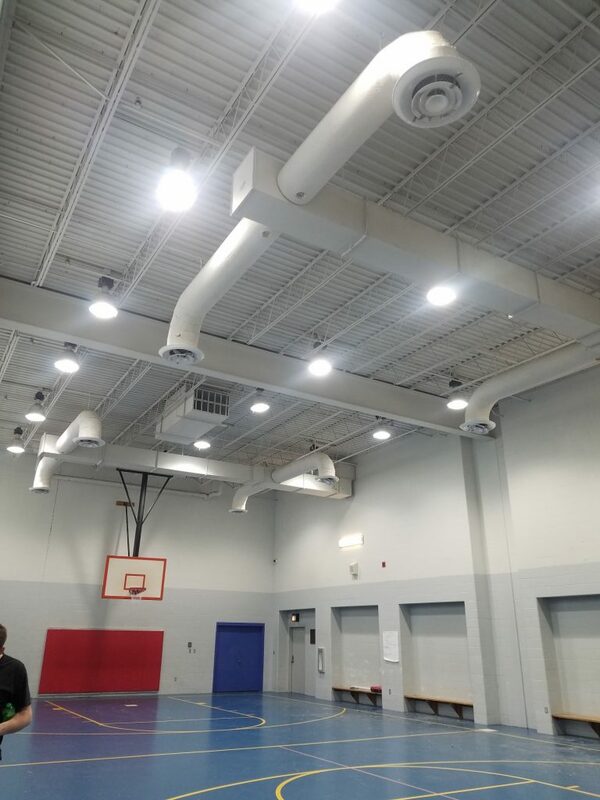 This all matters when we help you go from old technology tubes or metal halides to LED lights. Your new lights will last 10 plus years take the time to do it right. Call one of our LED lighting specialist to get a quality proposal. Neu-Tech LLC. All Rights Reserved.